The vitamin D3 supplements produced in Estonia use organic olive oil as carrier. Vitamin D3 (cholecalciferol) is derived from lanolin produced from sheep wool. 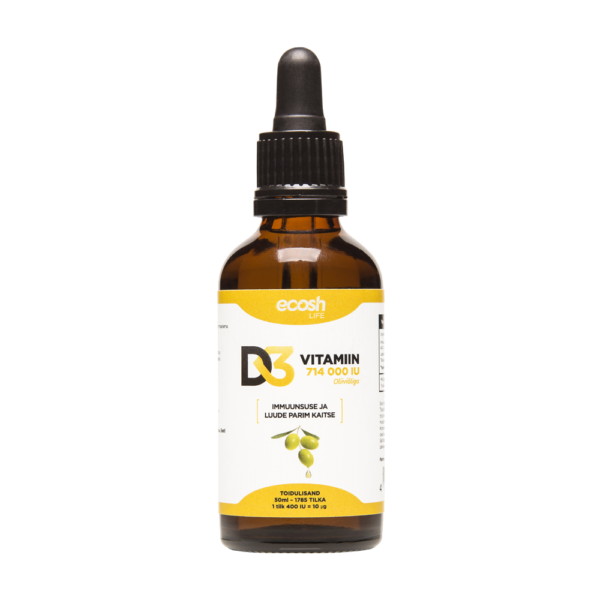 Liquid vitamin D is bottled in glass pipette dropper bottles.